Richard Stoltzman’s virtuosity, musicianship and sheer personal magnetism have made him one of today’s most sought-after concert artists. 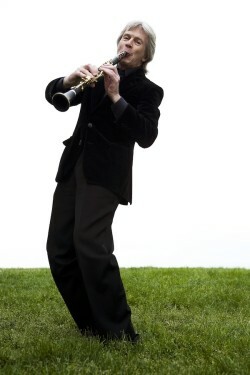 As soloist with more than a hundred orchestras, as a captivating recitalist and chamber music performer, as an innovative jazz artist, and as a prolific recording artist, two-time Grammy Award winner Stoltzman has defied categorization, dazzling critics and audiences alike throughout many musical genres. As a ten-year participant in the Marlboro Music Festival, Stoltzman gained extensive chamber music experience and subsequently became a founding member of the noted ensemble TASHI, which made its debut in 1973. 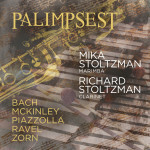 Since then, Stoltzman’s unique style of playing the clarinet has earned him an international reputation, as he has opened up possibilities for the instrument that no one could have predicted. He gave the first clarinet recitals in the histories of both the Hollywood Bowl and Carnegie Hall, and in 1986 he became the first wind player to be awarded the Avery Fisher Prize. In 2006 he was awarded the prestigious Sanford Medal by the Yale School of Music. His talents as a jazz performer as well as a classical artist have been heard far beyond his annual tours. He has performed or recorded with such jazz and pop greats as Gary Burton, the Canadian Brass, Chick Corea, Judy Collins, Steve Gadd, Eddie Gómez, Keith Jarrett, the King’s Singers, George Shearing, Wayne Shorter, Mel Tormé, and Spyro Gyra founder Jeremy Wall. His commitment to new music has resulted in the commissioning and premiere of numerous new works for the clarinet, among them Toru Takemitsu’s Fantasma/Cantos, 1994 Grawemeyer Award winner for Music Composition, Landscapes with Blues by Stephen Hartke, and a concerto by Einojuhani Rautavaara which premiered with conductor Leonard Slatkin and the National Symphony at the Kennedy Center and Carnegie Hall. Richard Stoltzman has a discography numbering over 60 releases on BMG/RCA, SONY Classical, MMC, BIS, Albany and other labels, including a Grammy-winning recording of Brahms Sonatas with Richard Goode. Among Stoltzman’s most beloved releases are the album of American works Amber Waves and the Trios of Beethoven, Brahms and Mozart with Emanuel Ax and Yo-Yo Ma, which won Stoltzman his second Grammy Award. In 2017, Sony Classical released a 40-CD retrospective box set of Stoltzman’s recordings.